Need a poster to promote an upcoming event? 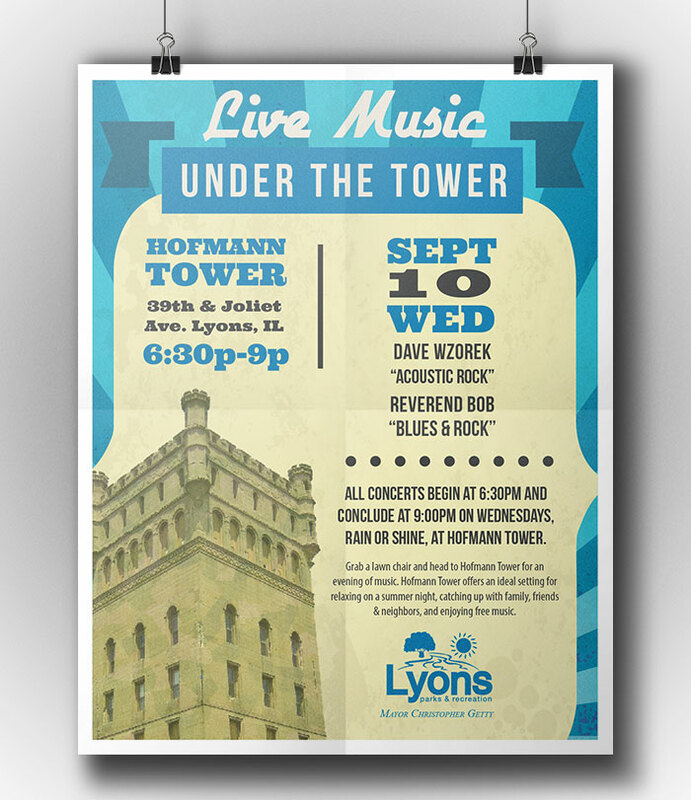 Our graphic design poster team created this piece for the Village of Lyons to publicize their summertime community events. The poster was a success and so were the events. So much so that Lyons is carrying on their outdoor music tradition into future years. Tools used: Adobe Illustrator, Adobe Photoshop, and photographic images provided by the client.